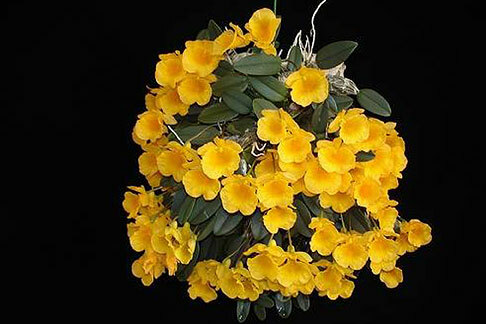 Very rare dwart-growing Dendrobium from South Eastern China. This species is from the Callista section that produces 1-3 flowers per pseudobulb in the late spring. 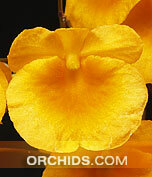 Plant grow only one inch in height with 1.5" canary yellow flowers. Light fragrance. Intermediate Grower. Also known as Den. aggratum var. jenkinii.